Every company enjoys good, positive publicity. I get that. It’s totally understandable. But surely some really go overboard to milk as much possible mileage from the same announcement. Defence companies are not immune to this and, indeed, this is something that irked me recently. Let’s keep this firmly within hypothetical realms as we don’t want to annoy any company. Let’s take what we’ll call, for argument’s sake, a Stellardash missile. Such a fine-sounding missile is a very short-range surface-to-air missile, let’s imagine. 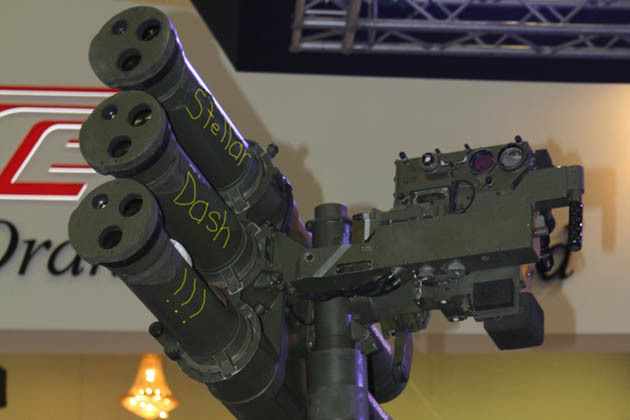 Anyway, once upon a time there was great fanfare (last year) when the manufacturer of the Stellardash teamed up with a local firm to market this superlative missile to a military customer in, I don’t know, let’s say Southeast Asia. There were all the usual press releases and fanfare. Then success, as the Stellardash struck gold! Last month the local agent and manufacturer were oohing and aahing over a significant sale (rumoured to be worth about US$130 million) to this same country. This came just ahead of a prime ministerial visit to the country, no doubt allowing him (or her) to bask in the good vibrations and to take some credit. But we’re not finished. In September, at a prominent defence show somewhere in Europe, there was yet more publicity to be garnered. On that occasion, the opportunity was eagerly grabbed to sign a formal contract for the Stellardash. This time the guests of honour were the respective ministers of defence from each country. Hurrah! More flag waving and hearty cheer. It could just well be that I’ve become old and cynical (probably correct, you’re thinking). However, it just becomes very repetitive having to return to essentially the same topic time-after-time as every little step along the path to procurement occurs. Then again, perhaps milking publicity in this manner works in the defence industry’s favour. Hot on the wheels of signing up for Stellardash, the manufacturer announced a significant sale to a neighbouring country!